This chapter provides an overview of two registration systems, the Family Register “Koseki” and the Registry Registration System, which are the basis of age validation in Japan. Data sources for centenarians and supercentenarians are described and the reliability of the information on birth and death is discussed. 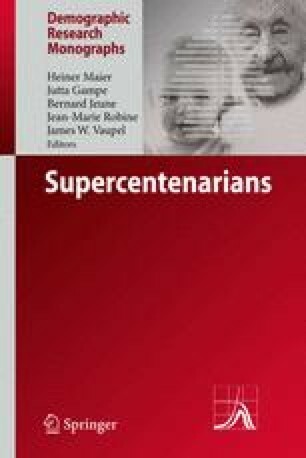 The chapter explains how we validated the ages of the persons studied and presents trends in the highest ages and the number of supercentenarians in Japan.